Shockwave improves the metabolism in the pain region, increases blood circulation, and effectively stimulates the body’s intrinsic repair mechanisms. Damaged tissue gradually regenerates and eventually heals. In other words, Shockwave Therapy is all about activating the body’s self-healing abilities. 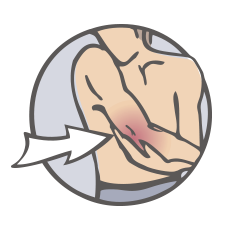 Shockwave Therapy does not generally cause any significant discomfort and there is NO local anesthetic required. 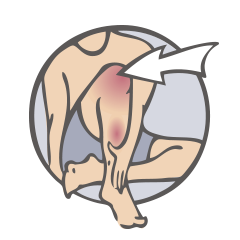 Many patients describe their treatment as "mild sensation" to "moderately uncomfortable" but few report any significant or lasting pain. Healthview has a very comprehensive Shockwave kit. We have numerous add-ons for treating conditions such as: foot pain, spinal conditions, associated fascia dysfunction, and temporomandibular joint dysfunction (jaw pain). Most importantly, our professionals have significant clinical experience using shockwave therapy as we have been using it over the past 4 years. Decreases inflammation via effects on decreasing expression of high levels of inflammatory mediators.